You will likely spend more money on making your wedding day perfect than on any other day in your life. You will spend months planning every detail and it will all pass by in a blur. Great photos will capture the day and all the details and beauty you worked so hard for. Photography is not the place to cut corners. The good news is that you can find a great photographer without breaking the bank. Here are my tips for finding the right photographer for you. 1. Be sure to look at a lot of the photographers work, including at least one complete album. Do the photos tell the story of the day? Do you find yourself immersed in the story? Do the images evoke your own emotions and can you see yourself in the photographers work? 2. Style, Philosophy & Approach: Ask the photographer about their style, how do they shoot a wedding? What is their goal when photographing a wedding? How do they work with the bride and groom? What do they do during the formals? What is their approach? Will they pose you? 3. Personality: You will be spending more time on your wedding day with the photographer than anyone other than your new spouse. Do you like them, is their personality right for you? 4. References: Ask for references, and seek out reviews online. Sites like weddingwire.com have photographer reviews. 5. Make sure you know who your photographer will be and meet with them. Many bigger studios might have you meet with the owner and then send someone else out on the day. 6. Cost: I urge you to place a premium on wedding photography; it should be a priority. The food, cake, flowers and entertainment will be used up on the night, the photos will last forever. Set a reasonable budget and see which of the photographers you love fit into that budget. 8. Value: Make sure that you are comparing costs based on value. How many hours are they working? What are you getting for the cost? Compare the products: albums can have a raw cost (cost to the photographer just for printing) of $30 to $1000 or even more. Do you own the images taken? Are you receiving all the images on a disc, and will they be edited and ready to print? Some photographers will give you smaller images that cannot be printed or only printed small, others will not give you the original photos at all- you will only get the images as the prints and albums that you buy. 9. Beware sub $1000 photographers. It is expensive to be in business today and very difficult to make a living for under $1000. Does the photographer have a legitimate business registered with the city? Do they have insurance? Relax, if you take some time to do a little research the chances are good you can find the right photographer for you without breaking your budget. There is a lot of hype in wedding photography. What makes one photographer worth 20K a day and another worth 2K? Many times it is real skill and a unique creativity, many other times though it is simply hype. Success in photography is about 20% ability and skill behind the camera and 80% marketing prowess. Many young hip photographers have personality videos and slick artistic presentations where they sell how cool they are, not so much how well they can photograph your wedding! The photographer might have 30-50 great, unique and creative images from a wedding that you love… but what about the rest of the day. 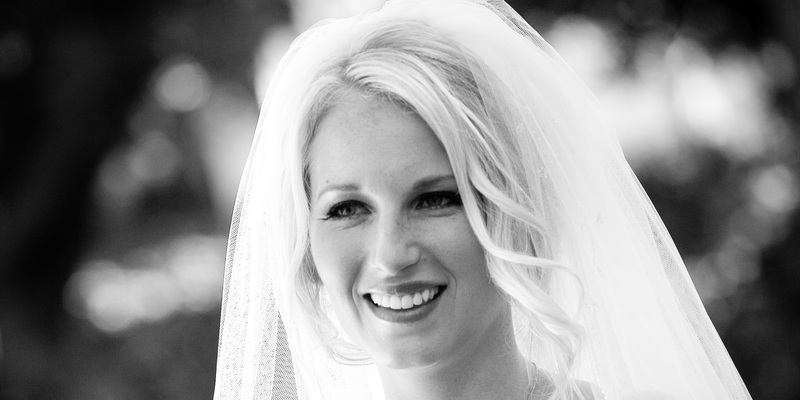 The wedding photographers primary job should be telling the story of your wedding day with beautiful images. Eye popping shots are great but, an overall collection of images that conveys the story and emotion of the day are paramount. When I shoot a wedding my philosophy is tell the story first. If I am spending too much time trying to find one dramatic image I might miss 20 great beautiful moments. I am not knocking a well made website and presentation, I am just suggesting that you dig deeper and cut through the hype to the substance the photographs! Question: How do you; the consumer of quality photography cut through the hype and find the right photographer for you? Answer: By looking at the full product of a photographer from the perspective of the bride and groom. 1. Look at complete wedding galleries, ask to see complete wedding galleries, at least 2 or 3. A good wedding photographer should have at least 300-500 images from a wedding. I usually have 1200+. More is not better or worse, look to see that the story was told though and that all the key moments were captured. This way you will have a good idea of what your complete wedding collection will look like. Do moments unfold before you, do you feel like you are there; seeing as much of the people, places, emotions and details of the day? Is there a good variety of close up detailed shots and wide establishing shots? Is the style of the photos what you are looking for? 3. Meet your photographer, not a sales person but the photographer you will be working with. Do they listen to you? Can you communicate with them? Do they have the personality you work well with? Ask them about their philosophy and approach to documenting a wedding. 4. Ask for references or read reviews online. Your wedding day should be one of the most memorable days of your life- it will fly by in an instant. A good photographer will preserve those moments forever, make sure you find the best photographer for your budget. Fusion is a term to describe the blending of photography and video. Professional and many amateur cameras now have the ability to shoot spectacular cinematic video. This has opened up a whole new realm of possibilities for photographers. We can now shoot still photos and video switching seamlessly between the two. We can even shoot photos in the middle of shooting video. Traditional video cameras have small image sensors which make for a large depth of field which means that most of the image is in focus. Still cameras have large image sensors some of which are larger than 35mm film formats which allows for a more narrow depth of field with more out of focus area. The quality and resolution of the new cameras is also exceptional. Another big benefit especially for events is that the still cameras with the larger sensors also are more sensitive to light and allow us to shoot high quality video in lower light. From a storytelling perspective it is exciting to be able to shoot photos and video in the same smaller camera. It is freeing us up to tell the stories we want to tell and to capture a range of still and moving images. This style of shooting is not without its’ challenges. Still cameras are not designed for shooting lots of video and are best for capturing shorter clips, they are also harder to focus and control. It takes a skilled videographer with experience in fusion shooting to deliver great content. I tell my clients to expect 3-8 minutes of video content per hour if I am shooting fusion. This makes for an excellent highlight but isn’t great for couples that want complete coverage of the ceremony and other events in totality. 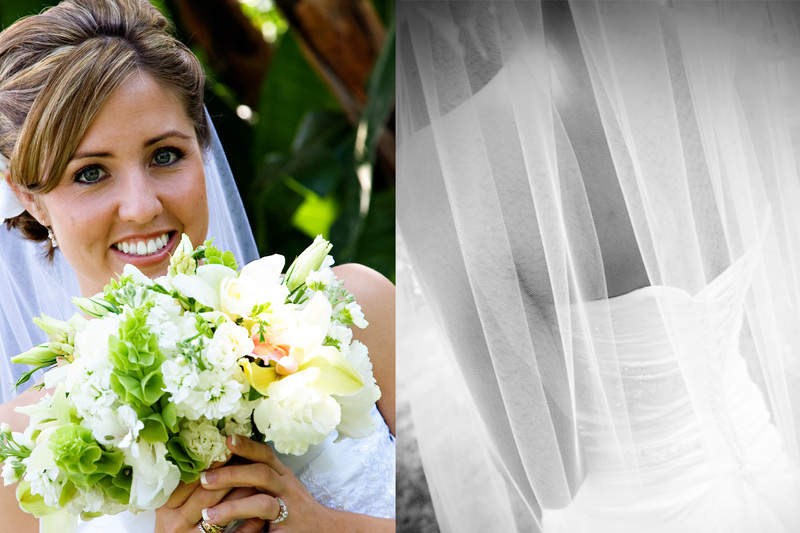 We typically deliver a 40-55 minute full length video for a fusion wedding shoot. Our classic video packages with traditional cameras average 90-130 minutes by comparison. Fusion is especially great for the couple that wants a great highlight video of the day or might not have the budget for a dedicated videographer. We can all agree that a good photograph makes the viewer feel something. A photograph should either tell a story, or convey an idea or emotion. A personal photograph should convey a memory. A good looking photograph is worthless if it doesn’t evoke a vivid memory of a moment in time. Authenticity is of paramount importance to a photojournalist. We want our photos to be real. I will use the example of the wedding here but this applies to any personal form of photography. When a husband and wife look at their photos years from their wedding date, good photographs will help their minds transport to that time and place. A great photojournalistic photograph is powerful because the memories associated with it are real memories of the event. When photographs are forced and staged they take away from the authenticity of the moment. I want my subjects to remember their emotions on their wedding day towards themselves, their spouse, their family and friends, not their feelings and interactions with me! When a couple views a photo of themselves during their first dance I want them to remember how happy they were, how beautiful the bride was, how great the groom looked in his suit. I don’t want them to remember me barking out orders or jumping in front of them. This is why I believe in unobtrusive, authentic photojournalism. I want my photographs to be real and I want my hand in creating them to be almost invisible. As artists we must always remember to uphold the authenticity of the moment. I want my images to be timeless. I want my images to be just as strong in 20, 50 or 150 years as they are today. The fundamentals I follow today are the same that great painters followed hundreds of years before the first photographs. This is especially true for my wedding clients. Your wedding photos will be viewed for generations to come, you want beautiful images that tell your story and capture all of your beauty. A fashion, advertising or editorial shoot might be viewed for 1-3 years, a wedding album should last at least 100 years. What looks “cool” or unique today might look pretty silly and archaic 20 years down the road, and sometimes just a few years later. Many photographers today are after the fads and styles of the now and they forget what is most important, telling their clients story and capturing the beauty they see. Creativity is no excuse for forgetting your primary function, be creative, see differently but do not forget the priority. Creativity should be in service of the job it should serve a function. This does not mean I do not take some risks and try some radical things- I do, but I only take those shots after I have captured the moment beautifully. I want to tell the story first, then I can take some risks. Right now many photographers are overdoing actions in Photoshop. Actions are preset edits that designers have created for quick image editing. Some actions are great and can subtly give an image a boost. As actions become more commonplace designers and photographers keep looking to push the envelope and generate more radical looks. These radical looks might pop out because they are different but overdoing them makes for a lot of dated images. Another trend now is wide-angle. Traditionally wide angles are not used very much when photographing people. Wide angle lenses stretch out space and can even distort the face and its’ features, they can be very unflattering. Telephoto or longer lenses compress space and give a more flattering rendition of the face. They also throw the background out of focus giving a pleasing separation between subject and background. I also think that we want to see things close up the expressions and emotions are best seen up close. Wide angles might make for some cool effects and give a sense of space but they should be used sparingly. Be creative, see things differently, take risks- but don’t forget your first job telling the story with beautiful, simple, and timeless images! 12 Steps to better photographs. 1. Forget about the camera. This is mostly for the guys- we tend to obsess over the technology. Any camera (including your cell phone) is capable of taking a great picture. Forget about the gear and use your eyes and feet to find the best photo. 2. Slow down. 10 great photos are much better than 1000 bad ones. Think about the photo you are taking. What story do you want to tell? Try closing one eye to see the world in 2D. 3. Move. Most people take photos standing straight and never bother to change their perspective. Get low, get higher, tilt the camera, jump, do whatever it takes to find a fresh angle on the shot. I suggest shooting an image and then changing the perspective radically and shooting again. 4. Watch your background. We tend to focus on the subject of our photo and sometimes forget about what is behind it. Generally the simpler the background- the better. Try getting a high angle to use the grass as a simple backdrop or go really low and use the blue sky. Look for solid color walls or textures. Watch out for distracting backgrounds that take away from your image. 5. Simplify. Don’t try to fit everything in the photo, this leads to a chaotic image without any focus. Find one thing you want to shoot and eliminate the rest. Powerful images are usually simple ones. 6. Smile. We want our subjects to be relaxed and happy. The easiest way to make your subject relaxed and happy is to be relaxed and happy. Smiles are contagious. 7. Zoom in for people. People look better when the lens is longer so zoom in. A long lens compresses lines in the face making everyone a little younger. When you zoom in the depth of field (area of sharp focus) narrows making your subject pop off the background. 8. Zoom out, move in. Wide angle is generally not flattering for people, if you do use it try to keep them out of the edges where the lens distortion is most noticeable. A wide angle lens can give a dramatic point of view especially when you move in close to the subject. Experiment with the perspectives of your lens and learn how the perspective changes the way a subject appears. 9. Try Manual. The automatic modes on your camera are generally pretty good most of the time, especially in bright light. However by using the cameras manual function you can sometimes get more creative controlled results. You can also try using the auto exposure adjustment dial. One quick example: You are inside at a party with low lighting. Try going to iso800 exposure time 1/30th and f2.8 or f4.o. Make sure the flash is on. The camera in automatic will likely pick a fast exposure time and the ambient light in the room would be lost. You can use slower exposure times to capture some of the atmosphere and rely on the flash to correctly expose your subject. Try even slower times for more of the same effect. If you have a newer DSLR push the iso to 1600 to let in even more ambient light. 10. Lines & Composition. Look for lines that lead into your subject, the eye will follow lines in an image, try to control the lines and have them lead into your image. 11. Off Center. You do not need to always center your subject, in fact most of the time the subject should not be dead center. Try placing subjects in the thirds on either side. (artists call this a rule of thirds) If your subject is looking or moving somewhere give them some room in that direction by placing 2/3rds of the image in front. When framing a close up of the face it is the chin not the forehead that gives the face shape, so feel free to crop in close leaving the top of the head out to get really close-up. 12. Light. Good light makes good photos. All the expensive gear in the world is meaningless without good light. Try shooting landscapes in the early morning right as the sun comes up or the late afternoon as it sets. People look better at these times as well. If you do have to shoot in the middle of the day use flash to fill in shadows and look for shade or spots where the light is redirected from the sides. Pay attention to the light. Comments Off on 12 Steps to better photographs.